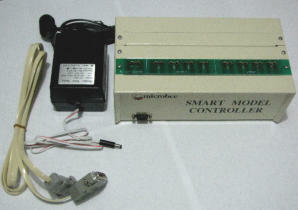 Smart Model Controller The Smart Model controller is a device that attaches to the Microbees serial port that interfaces to LEGO motors, lights, switches and so on. 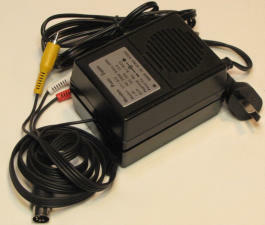 It was designed to work with the older 4.5v LEGO accessories, but can also power normal 4.5v hobby motors and so on. There are 4 outputs, each of which can be set in forward or reverse (polarity is under program control) or off. 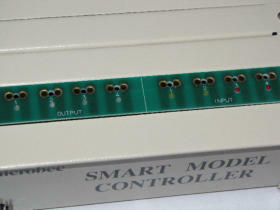 4 General purpose inputs are available to connect switches / sensors to so that program branching can be affected. There is also one 4.5v power output. 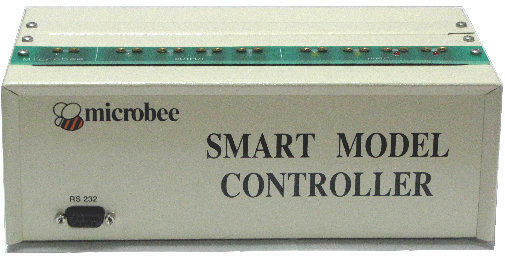 The Smart Model Controller has software included with it for Microbee Z80 based machines, or, an MS-DOS version is also available. The SMC when originally available sold for more than $200. 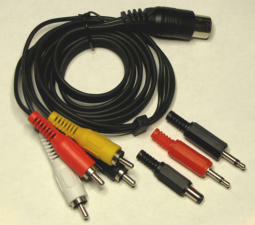 These units are limited quantity ‘New/Old stock’ items.